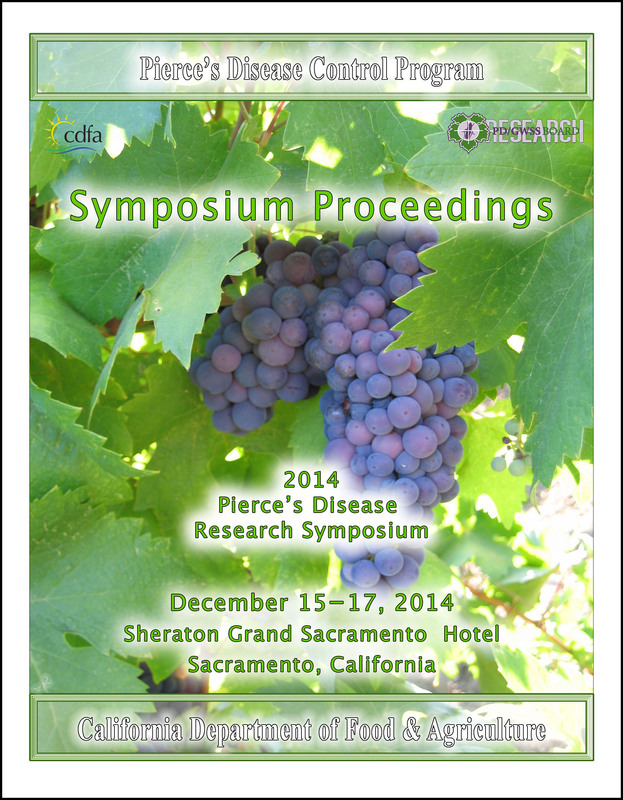 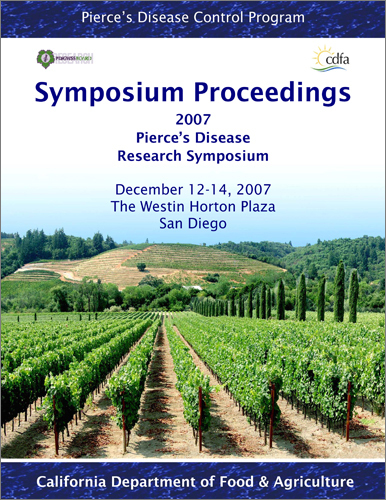 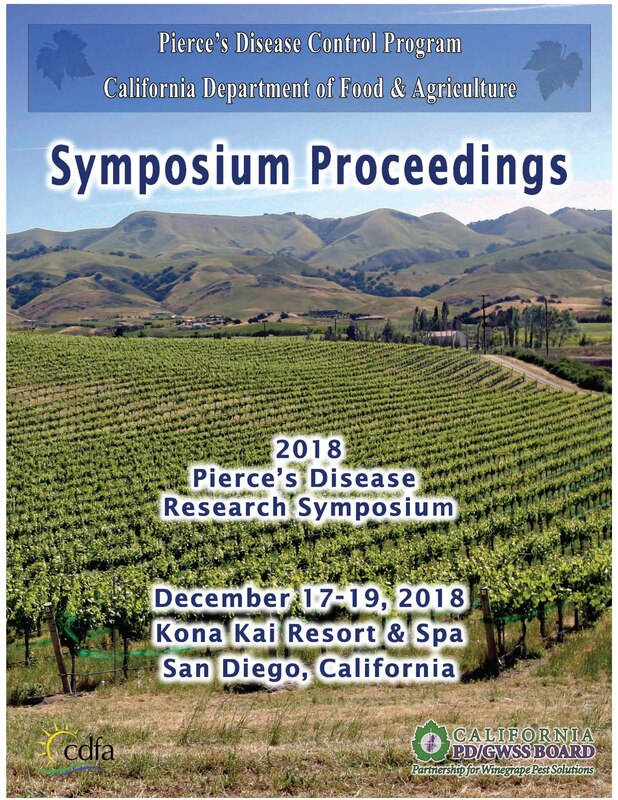 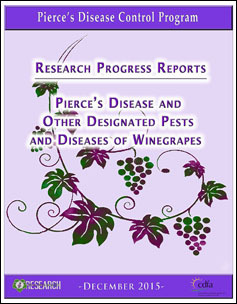 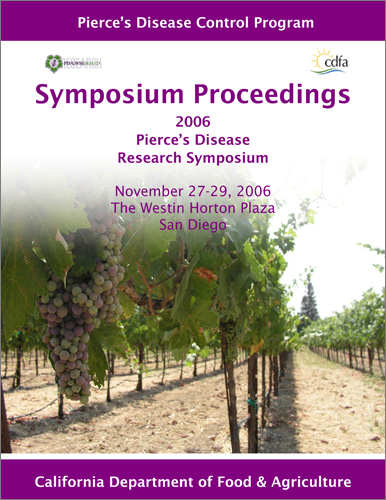 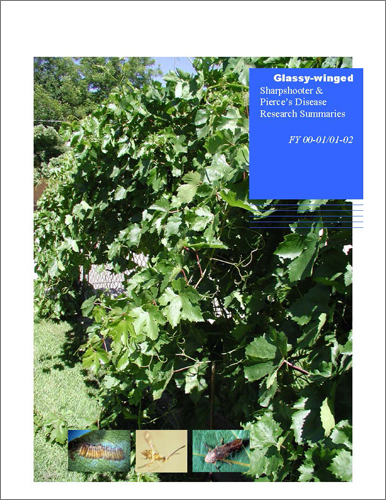 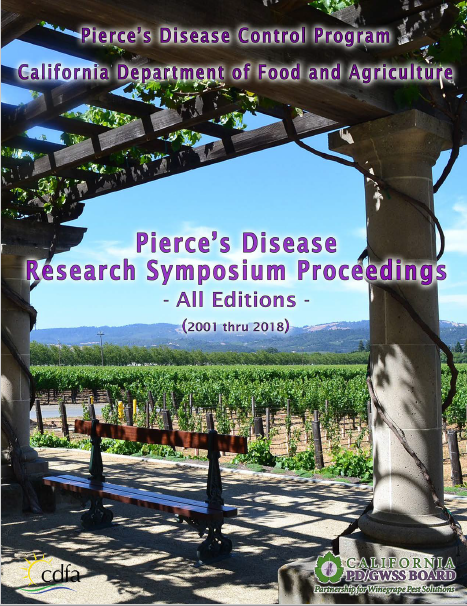 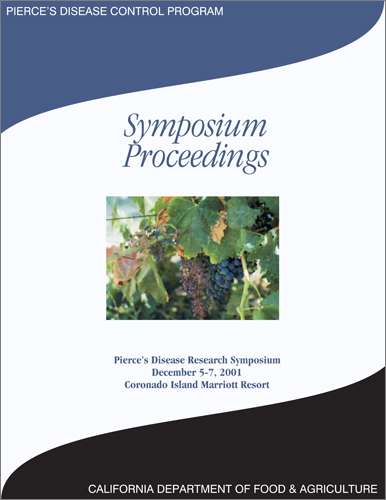 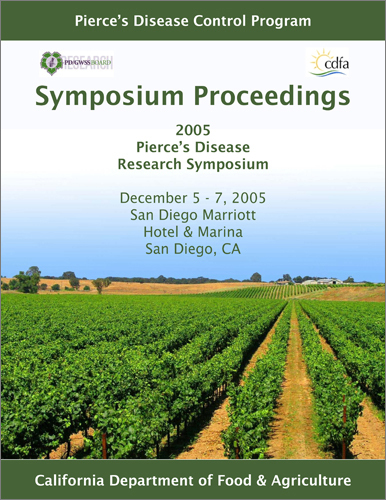 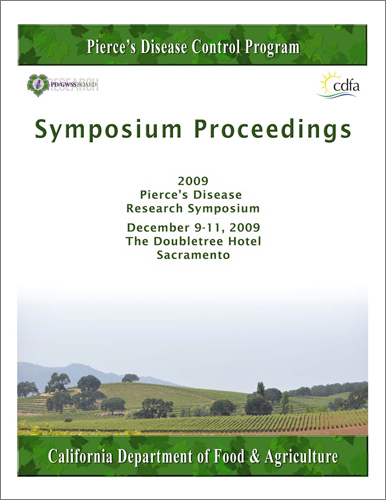 Almost every year since 2001, the PDCP has organized an annual research symposium focused on Pierce's disease, its vectors, and (in recent years) other pests and diseases of grapevines. 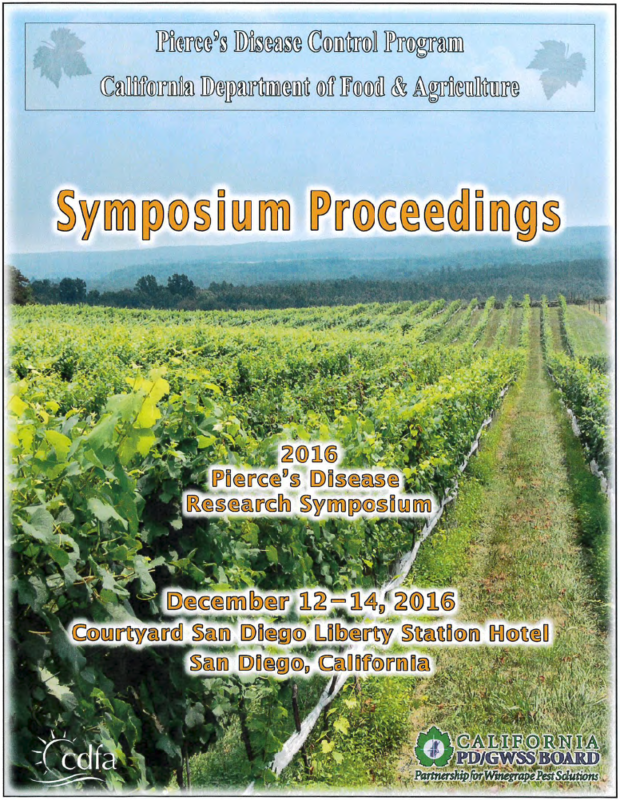 Approximately 100 people attend these meetings to share information and learn more about the research progress that is being made. 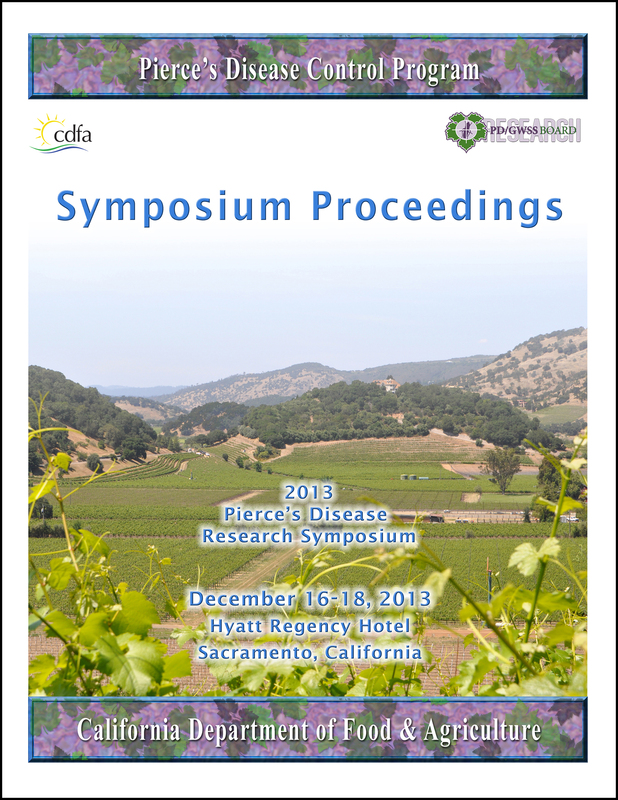 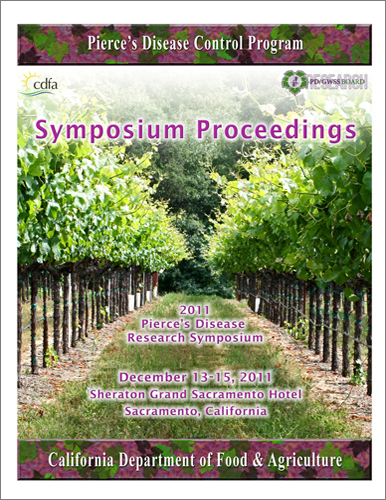 A collection of year-end research progress reports is prepared each year and distributed at the Symposium. 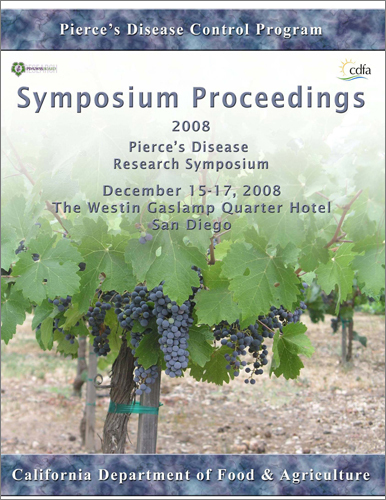 These documents, known as the Proceedings, are available by clicking on the images below. 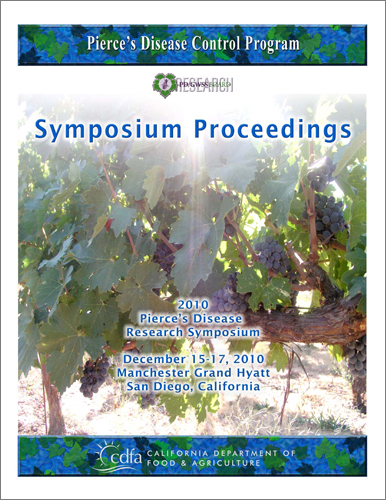 Although Symposia were not held in 2012, 2015, or 2017, collections of progress reports were still prepared and are included in the list below. 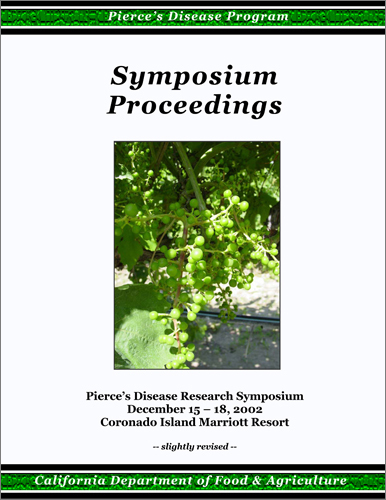 Please select this file to view and search all editions of the Proceedings simultaneously (123 megabytes). 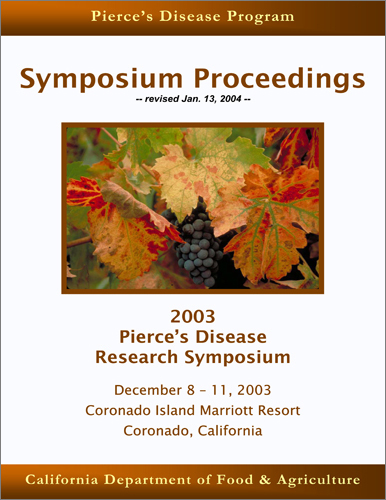 Please select from among these files to view and search individual editions of the Proceedings. 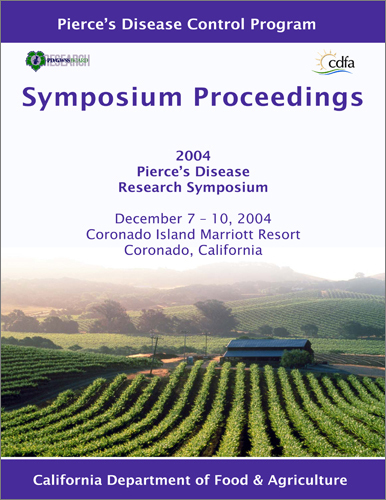 The CDFA Pierce's Disease Research Scientific Advisory Panel was established in 2007. 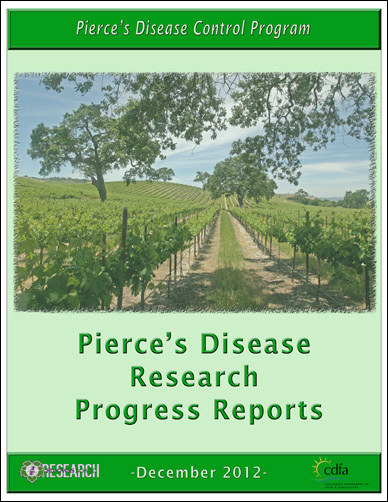 It was composed of scientists with expertise in research areas directly applicable to Pierce�s disease and its vectors, and for several years provided input and expertise on the research effort.